The Chuck puts yet another notch in his pop-culture belt. 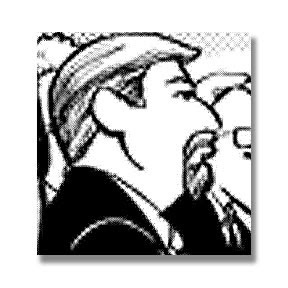 He's been hilariously and quite accurately rendered in the comic strip Candorville by Darrin Bell. Hat's off to you Mr. Bell. A nice snag by the hard-working staff at VCT! I've never even heard of Darrin Bell or Candorville. Do you think Chuck Todd will ever run for president?